Now that Sepp Blatter has resigned, it's your turn to do the right thing. The world is watching. 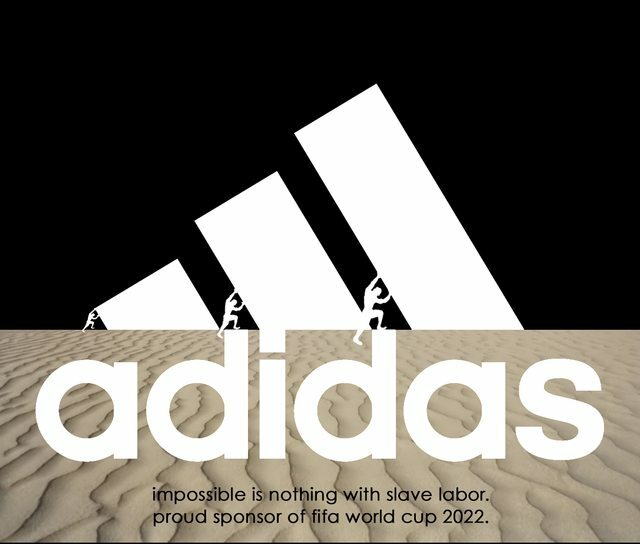 You need to step up to the plate and take responsibility for the deaths of an estimated 1,200 workers in Qatar who lost their lives building the infrastructure for the 2022 World Cup. You need to apologize to their families. You need to apologize to your consumers. But you need to go further than that. Those 1,200 dead workers were forced by poverty to go from Nepal to Qatar to earn a living to feed their families. Their deaths meant many those are home are destitute. That's restitution is a moral obligation. More so when you said virtually nothing as the news broke out last June about those conditions. And, other than the de rigueur finger wagging, when this round of news broke out you've kept silent. And please do not respond with clever feel-good commercials and carefully crafted Press Releases from a multimillion dollar PR firm. It was Roberto Goizueta, I believe, who once said that if his company were to lose everything, he could still go to a bank and get a loan to rebuild. That's how valuable a brand is built: It captures the trust of millions of consumers. No marketer can afford to have their brand linked to atrocities. And that's precisely what the anti-logos are doing. And they are circulating widely throughout the world. That's why restitution makes total business sense. Don't be totally tone-deaf and refuse to see a major problem. Don't surround yourself with "Yes people" who will tell you everything is all right. Step up to the plate. Admit there's a major crisis, then face it with courage. Perhaps we can turn the page. We want our World Cup back!